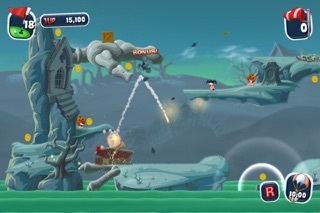 4/4 - “Must Have” - “Terrific fun that mixes classic Worms game play with golf, resulting in a hilarious and creative little game” – SlideToPlay.com. 9.0/10 - “Amazing” – “Worms Crazy Golf is a super blend of puzzler and strategy game wrapped up in easy-to-understand golf-themed packaging” – IGN.com. 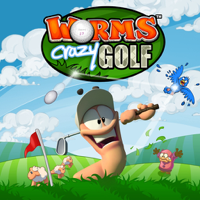 4.5/5 – “Worms Crazy Golf is, literally, a blast. It's a great spin (pun intended) on both artillery and golf titles, blending both genres together to create something that's new and different” – Gamezebo.com. 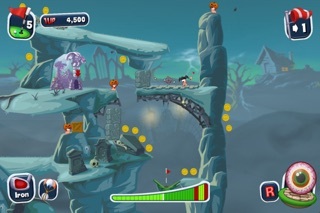 4.5/5 – “Worms Crazy Golf is an all-in-one entertainment pack that includes exciting gameplay, exploding worms and some very difficult obstacles to overcome on the way to a hole in one” – 148apps.com. 8/10 – “A remarkably generous offering from Team17. Fun, playable, and stuffed to bursting point with content” – Pocketgamer.co.uk. 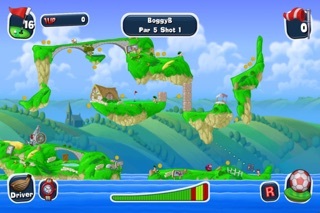 4/5 – “Worms Crazy Golf is not only a fun golf game, but adding the charm of Worms to it, along with all the obstacles, bonuses, and utilities, makes for a really fun gameplay experience” - Appspy.com. 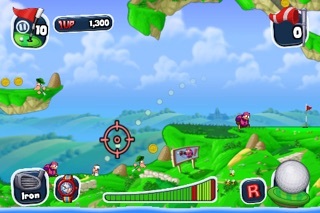 Worms™ Crazy Golf for iPhone and iPod is a hilarious mixture of the explosive action of Worms™ and the puzzle-based challenges of crazy golf! 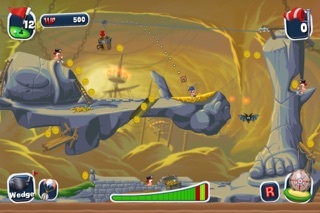 All of the trademark Worms™ humour, comic violence, and cartoon visuals are present, combined with addictive yet accessible golf gameplay. With extensive and re-playable single-player options, and hot-seat multi-player for up to 4 players, this is not just a load of balls! Single-player career mode - x3 18-hole courses - Britannia, Pirate Cavern and Graveyard – with Trophy achievements. Single-player challenge mode - x15 challenges with leaderboards. Hot-seat multi-player for up to 4 players. Crazy golf! Navigate the hilarious, and increasingly challenging, holes in unique ways with interactive objects, utilities and ball spin. Worms™ humour! Exploding sheep, teleports, ball-whacking Old Women, ball-stealing moles, mines, magnets and even new bats! Customise the name, hat, club, speech and balls of your worm, and earn in game cash to unlock even more customisation options. • Low graphic option for optimizing frame-rate on older devices.